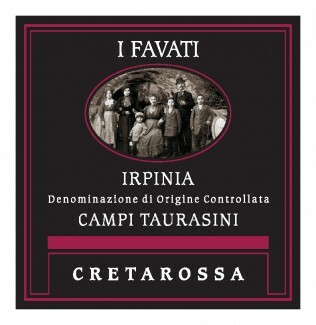 Vineyard Notes: Production Area: Cretarossa Vineyard in Venticano – San Mango in the province of Avelllino. Soil: Clayey soils in hilly terrain. Winemaking Notes: Vinification: Fermented in temperature-controlled stainless steel tanks. Aging: 12 months in oak barrels barrique and 3 months in stainless steel. Tasting Notes: Tasting Notes: Deep garnet color. Concentrated aromas of pepper, black cherry, anise, and oak. On the palate the wine denotes concentrated fruit, good acidity, alert and enjoyable tannins. Food Pairings: Roast or barbecued meats. In business for over 20 years, we dedicate ourselves to delicious wines and to telling their stories from grape to glass. Specializing in both Californian & Italian wine of the month clubs. © 2019 Celebrations Wine Club. All rights reserved.